One thing we love most about holidays here in the foothills are all of the festive events that take place throughout Rutherford County. 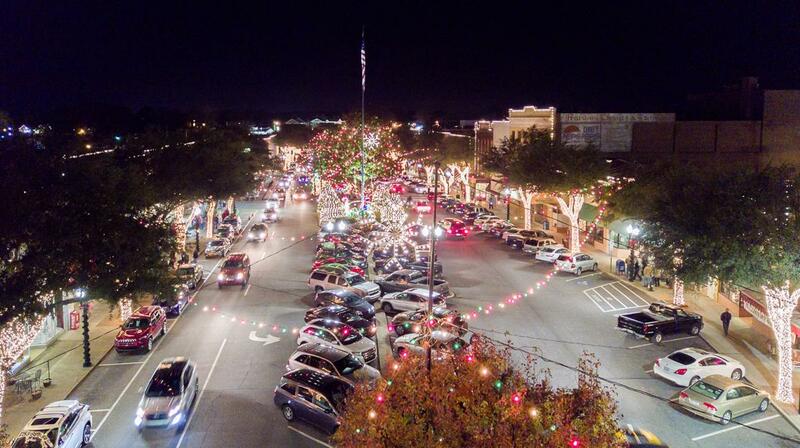 I mean, who can resist that southern, small town, holiday charm? Every year several of our small towns kick-off their holiday celebrations on the first Saturday in December. 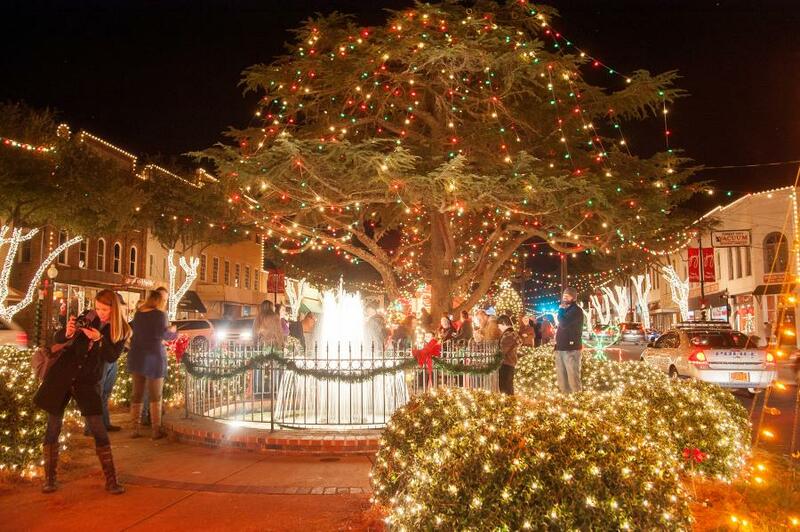 Times and details can vary from year to year so make sure to check our holiday happenings page at https://www.visitncsmalltowns.com/carolinachristmas/ for updates. We can not think of a more thrilling way to start our holiday cheer than to have Breakfast with the Elves, at the Old Rock Café in Chimney Rock Village. 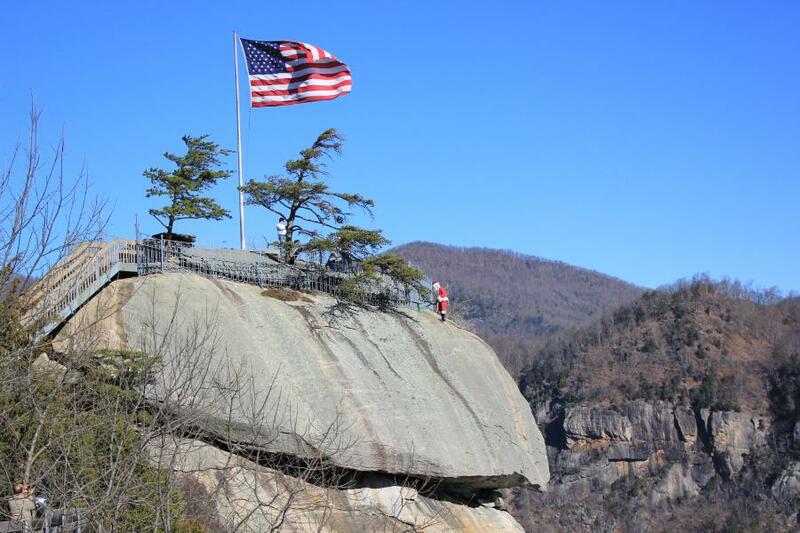 The event begins at 7:30 a.m. Make sure to stick around and watch Santa on the Chimney as the Big Guy propels down the world’s largest chimney at Chimney Rock State Park at 11:00 a.m. If you are looking to spend time just in the Chimney Rock and Lake Lure area, make sure to catch the Light up Lake Lure at the Flowering Bridge. Each year the Flowering Bridge transforms into a fairy wonderland of lights that creates a magical world just waiting to be explored. The full event agenda can be found here. Heading toward the eastern part of Rutherford County there is an entirely new set of experiences to explore. Start the morning off in Union Mills for their Christmas in the Mills event, beginning at 9:00 a.m at Union Mills Learning Center. Ready for some more holiday fun? Small Town Christmas in the enchanting Town of Rutherfordton begins at 11:00 a.m. and is just a short drive from Chimney Rock or Union Mills. Here you will find a Holiday Market in the Shoppes Under Main, pictures with Santa, hot chocolate in Main Street Park, and more! As evening approaches, you can enjoy treats and sweets from local vendors, the lighting of the "Tallest Cedar Christmas Tree in WNC", and a selection of your favorite carols played by Old 74 Jazz. The Spindale-Rutherfordton Parade begins at 3:30 p.m. in Spindale, featuring local high school marching bands, cheerleaders and dance teams, and of course our guest of honor, Santa Claus and his sleigh! 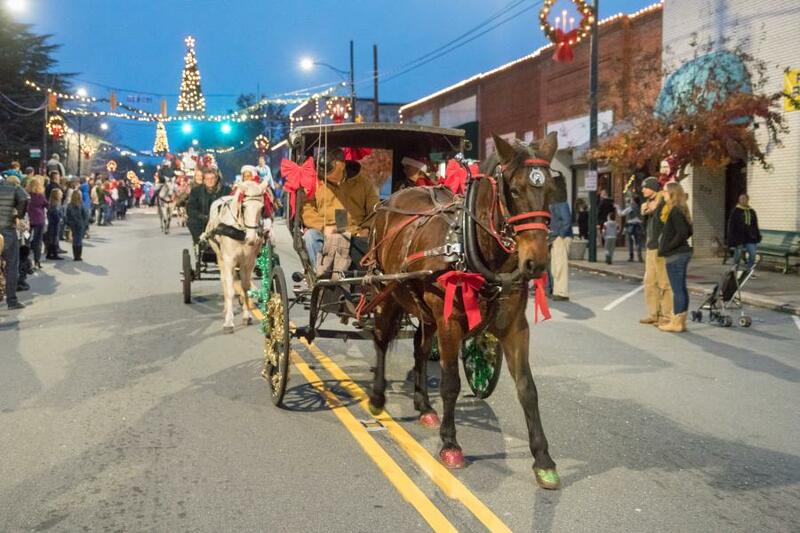 The parade continues on to Rutherfordton at 5:00 p.m.
How many lights can you count in the Town of Forest City? We have heard it is in the vicinity of one million lights! Check out Forest City’s Hometown Holiday Festivities where you can enjoy the lights from a horse-drawn carriage ride down Main Street, visit Santa at the Santa House, or take a spin on the ice-skating rink. Whew! As you can see, the first Saturday in December is always jam packed with seasonal flair and many different things to do. So gather your family, embrace the holiday spirit, and enjoy a true Carolina Christmas!